The story of Lily and John who felt like they couldn’t say anything to each other without it becoming a fight, and how making small acts of generosity with each other helped them recover their emotional bank account and remember their love and friendship. The Emotional Bank Account is a metaphor used by Dr. John Gottman to describe the connection partners have. When you turn towards your partner and try to connect – you deposit in your emotional bank account. When you turn away from your partner or when you miss a bid for connection your partner made, you withdraw from the emotional bank account. The currency is connection. When the bank account has a lot of money couples are generous with each other, and love is flowing. When the bank account is low on funds every little thing becomes an argument or a fight. When the bank account is in the red, it seems like the couple can’t interact at all without it becoming a huge fight. That’s when therapy is an emergency, or you might break up. The tool of daily acts of generosity.We created The Generous Marriage Restaurant Game that you can use for fun inspiration to help you be generous with each other. You can download the game below, at the bonus section. Research by the National Marriage Project at the University of Virginia that found that couples with the highest scores on the generosity scale were far more likely to report that they were “very happy” in their marriages.That was especially true for couples with children: 50 percent of parents who reported above average scores of marital generosity, reported being “very happy” together. While only about 14 percent of those with lower generosity scores, claimed to be “very happy”. That’s more than 3 times happier for the generous couples. 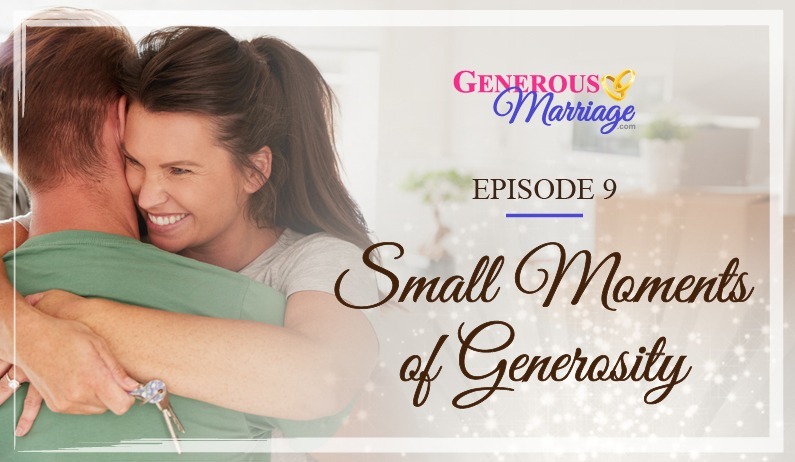 So if you want to be very happy in your marriage make sure to keep the generosity flowing between you and your partner. We created a fun game that you can use to help you be more generous with your partner and deposit into your emotional bank account.